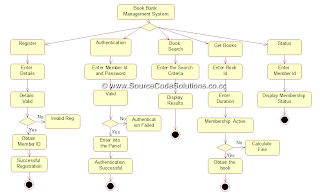 To Analyze the Problems, Gather the SRS(Software Requirements Specification) and Model the UML/OOAD diagrams for "Book Bank Management System" using Rational Rose Software in CS1403 - CASE Tools Laboratory. 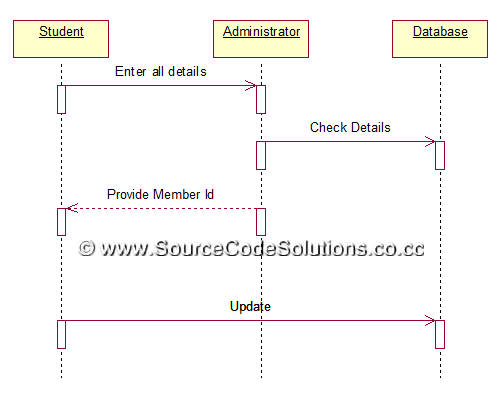 must be maintained to guide the issuer to track the details of students. 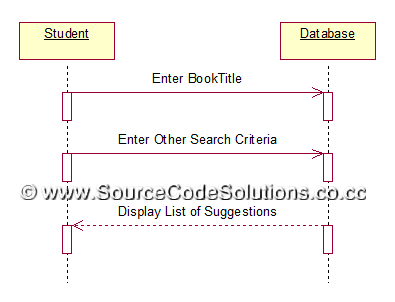 Search option must be provided so that the member can search for the availability of a particular book. The book bank is a set up that lends books for all its members which they can return at the end of each semester. It has a huge collection of books and has to keep track of all its members’ details such as requests, dues and penalties and the books. 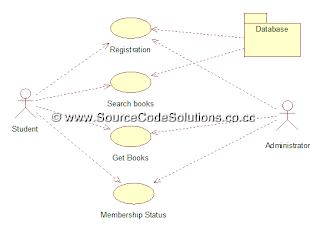 The purpose of this document is to present a detailed description of the Book Bank System. It will explain the purpose and features of the system, the interfaces of the system, what the system will do, the constraints under which it must operate and how the system will react to external stimuli. 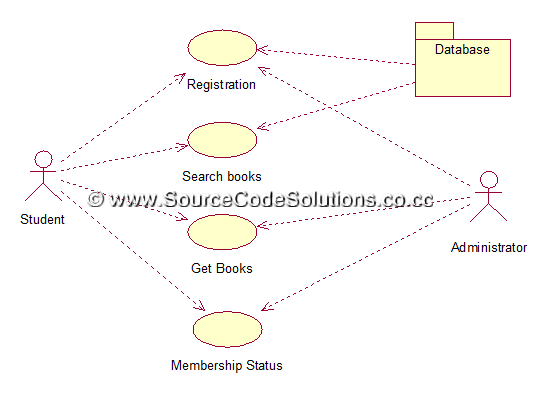 The book bank holds an online interface with its members for maintaining all kinds of transaction details. 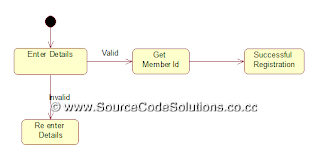 Each member is provided with a unique user id at the time of registering as a member. · HTML-Hyper Text Markup Language used to create web page. This project is a self contained one for enabling a book bank organization to be connected with its students, through this system, the students can check for availability of books, makes requests, etc. 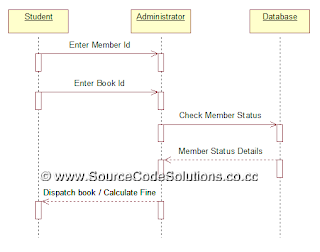 This system functions with a database at the back end, for keeping track of its member’s dues and payments, and also its available resources. Every student who is a member needs only a web browser to connect to this system. The system should have good hardware support. The processor should have high speed and must be of high efficiency. 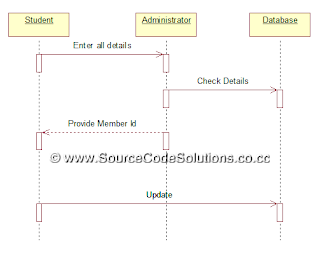 The system uses ODBC drive to connect and control the database. 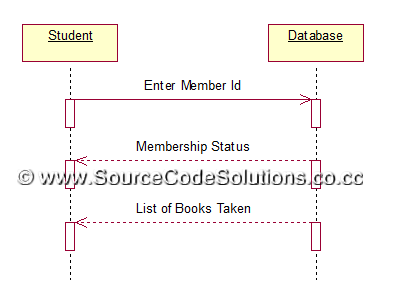 Allows a student, who becomes a member to login using a unique id issued at the time of registering as a member, and after logging in, the member can browse through available books and make requests accordingly. The books will be issued provided there is no due, regarding returning of previous books. 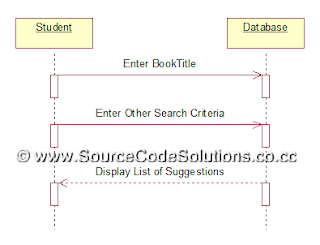 Whenever the student wishes to get books, he/she checks for the availability by logging in. 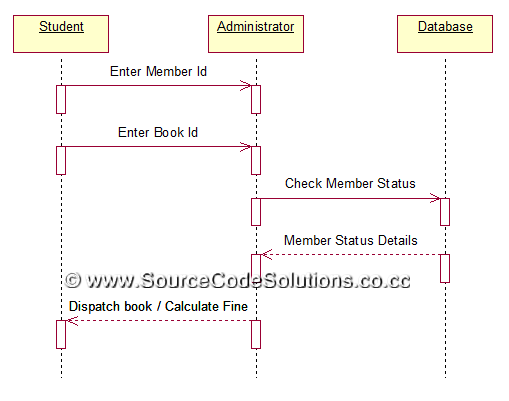 When the request is made, the director of the book bank decides on granting the request of book(s) after checking the member details for due in returning previous books. 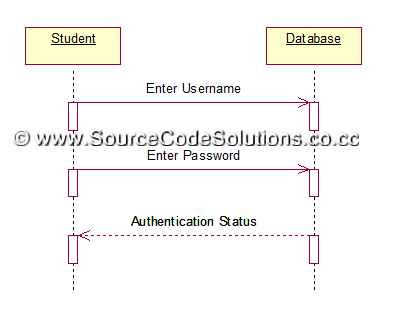 The member should be authenticated by means of unique login id and password. The availability of books requested must be prompted to the user through e-mail or sms notifications. The web interface should be able to support multiple users trying to log in simultaneously. 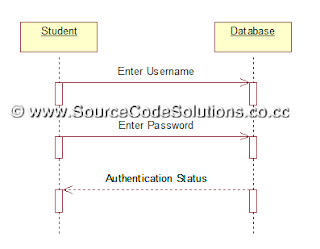 The student details should be made available in the database and must be updated every time a book is issued or returned or some kind of payment takes place to prevent errors. 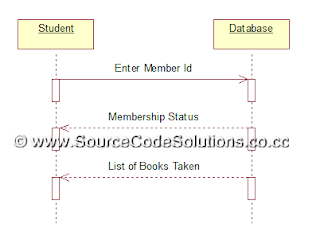 The member can only access certain details from the database. He/she should not be able to modify the database nor has any of its information corrupted. Only the DBA must be bestowed with the privileges of handling any kind of modifications. 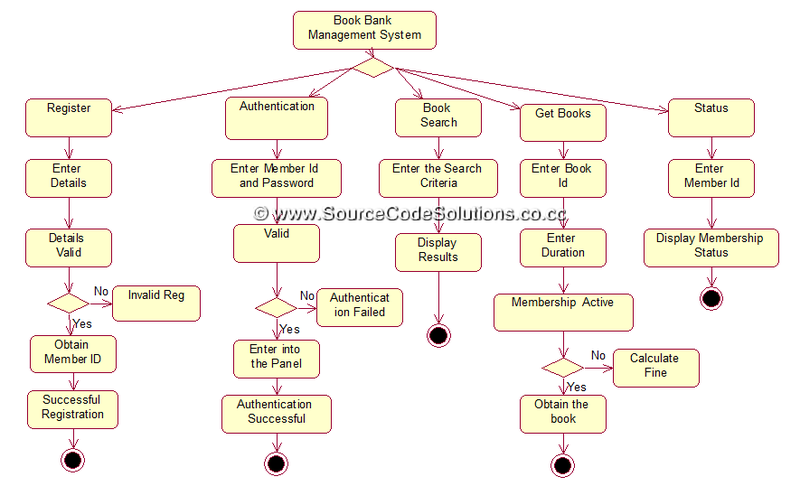 Thus the "Book Bank Management System" application was successfully designed and the output was verified.